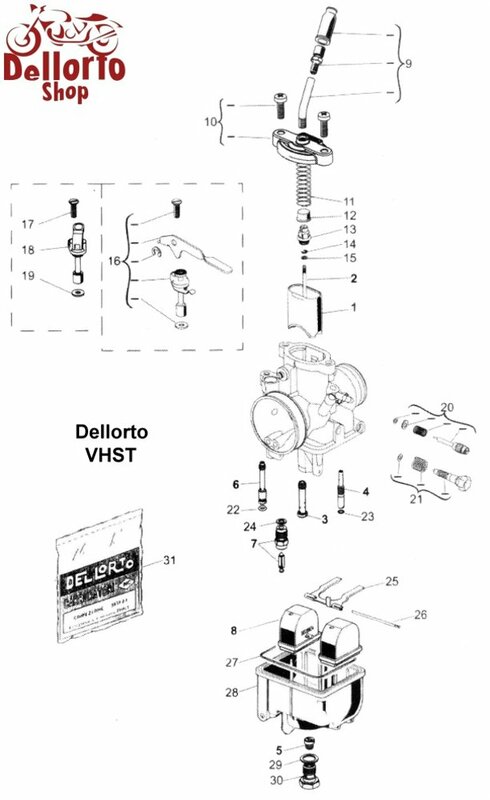 Cable adjuster for the Dellorto VHST carburetors. Fits an outer cable with an external diameter of 6.75 mm. This cable adjuster uses Lock Nut 1692 to secure its setting. For your convenience, you can order this lock nut right along with this adjuster by simply selecting it through the drop box above. 40 degrees cable elbow for the Dellorto VHST carburetors. Please note that this elbow is NOT suitable for the BMW R90S with metal topped carburettors! This elbow is secured into the top cover by means of Lock Nut 1691. For your convenience, you can order this lock nut along with the elbow by simply selecting it through the drop box above. 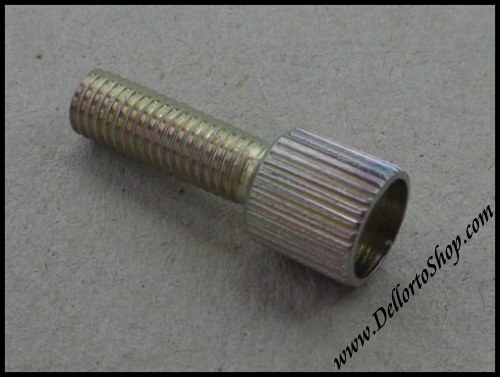 50 degrees cable elbow for the Dellorto VHST carburetors. 70 degrees cable elbow for the Dellorto VHST carburetors. 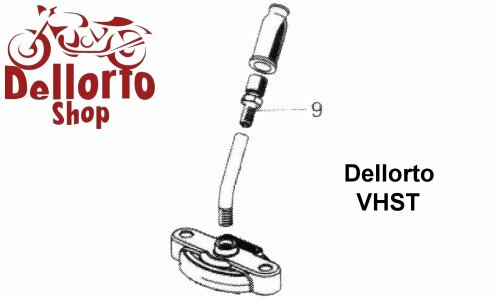 90 degrees cable elbow for the Dellorto VHST carburetors.